Outsource Packaging offer a wide selection of wrapping and carton options to seal, protect and bundle your products. At Outsource Packaging we focus on using Polyolefin polymer plastic film, available in different thickness, strength and clarities. The Polyolefin keeps the product clean, stable and provides exceptional tamper resistance. Shrink-wrapping is a great way to protect the retail product and provide a polished look, our semi automatic, automatic machines with L Bar sealers and bundle wrappers can provide solutions to your requirements. 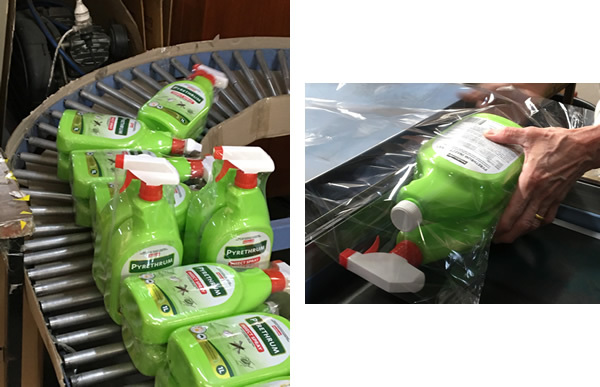 The shrink-wrapping applications are marketed to pharmaceuticals, food and beverages, consumer products, cosmetics and printing companies. Outsource Packaging can also supply a range of packaging materials, such as plastic bags and outer cartons to pack products. If you have products that need any of the services listed above, then please give us a call. Tags: Heat shrink Melbourne, plastic wrapping, heat sealing, Tamper proof wrapping, Shriink wrap melbourne, Shrink Binding, Cardboard Boxes, Cartons, label barcoding.